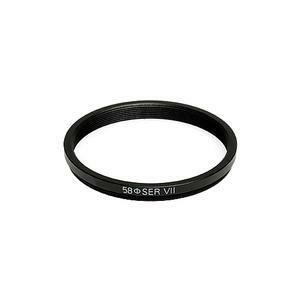 This Bower 58mm to Series 7 Adapter Ring allows you to attach Series 7 (VII) sized accessories -- such as conversion lenses, ring flashes, filters, etc. -- to lenses with a 58mm diameter filter thread. Converts the 58mm filter size of your lens to Series 7 (VII) threads.